In the last year, since learning to use a grill, I’ve found that grilling dinner is the perfect way to enjoy an evening outside with my family while also getting dinner on the table. Summer may be nearly over, but grilling season still has many weeks left thanks to beautiful fall weather ahead. When I think of fall grilling I crave ribs. However, grilling ribs intimidated me. What if my ribs turned out charred, tough, or dried out? I heard about Smithfield® Extra Tender Fresh Pork Ribs which are enhanced to be as juicy and tender as possible, perfect even for a beginner like me! With Smithfield ribs, I had nothing to worry about. My ribs turned out tender, juicy, and delicious on my very first try! 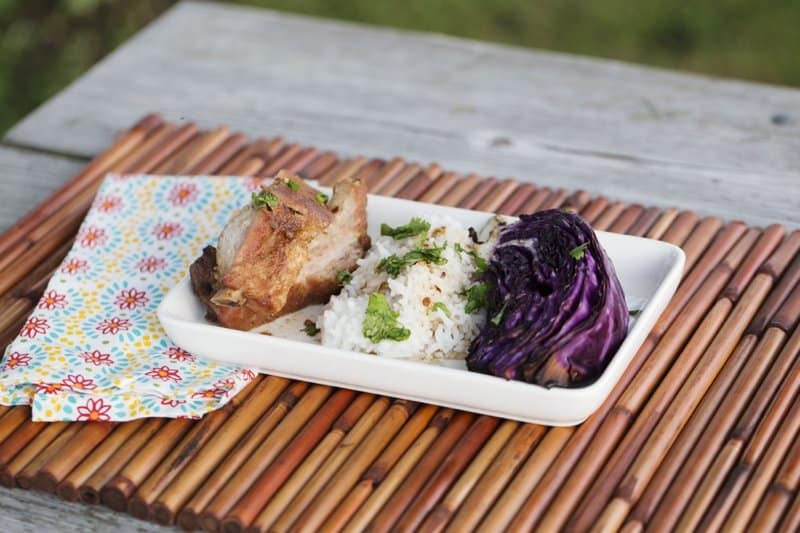 These savory Taiwanese ribs have a spicy flavor balanced with the slight sweetness of brown sugar in the rib rub. 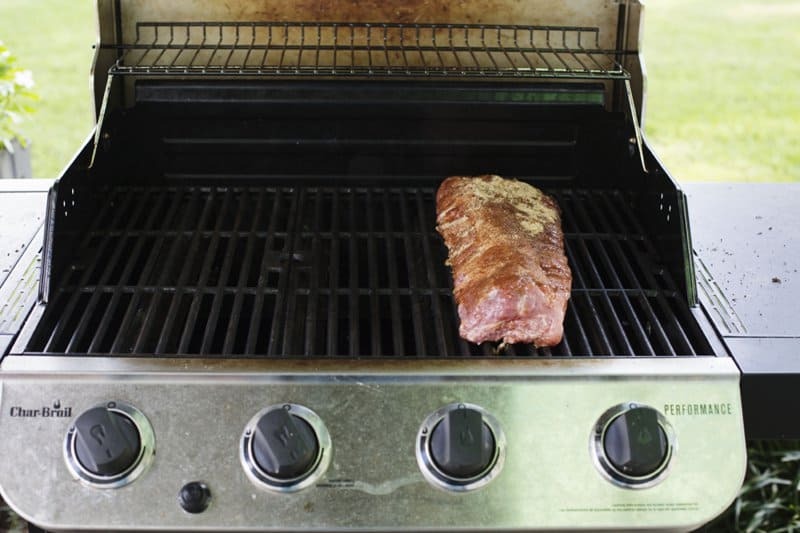 You want to cook ribs with indirect heat, so only turn on the burners on one-half of your grill. Begin by preheating your grill to about 300 degrees. While the grill is heating make the rib rub by mixing 1/2 cup brown sugar, 1/4 cup paprika, 1 tablespoon dry mustard, 2 teaspoons ground ginger, 1/2 to 1 teaspoon red pepper (depending on how spicy you’d like), 1 teaspoon garlic powder, and 1 teaspoon salt. 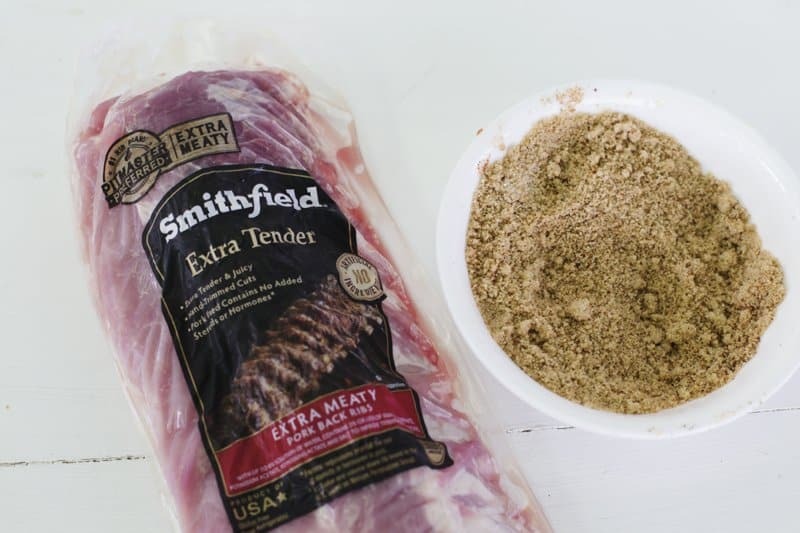 Open the Smithfield Extra Tender Fresh Pork Back Ribs package and rub the ribs with your dry rub. Pack the rub onto the ribs, then place the rack of ribs on the grill over the side without flame. Close the grill and cook the ribs for 45 minutes, over indirect heat. While the ribs are cooking, make the sauce. Mix 2 cups water, 1/4 cup soy sauce, and 5 tablespoons sugar. Bring the liquid to a gentle boil, and cook until the liquid is reduced to 1 cup. Near the end of cooking add 1/2 to 1 teaspoon red pepper flakes. 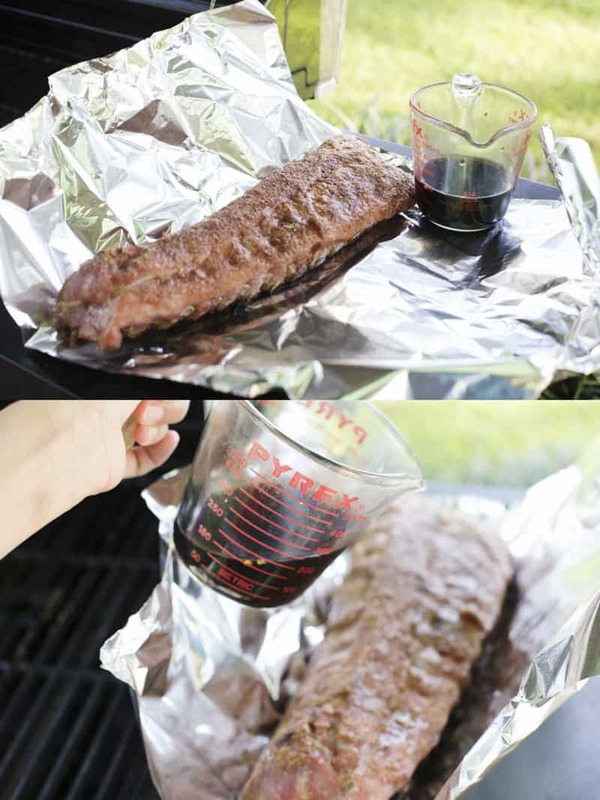 After the ribs cook for 45 minutes, remove them from the grill and wrap tightly in heavy-duty foil. Before sealing the foil, pour 1/4 a cup of the sauce into the foil packet to keep the ribs moist during the last 1/2 of cooking. Place the foil wrapped ribs back over indirect heat for another 45 minutes, or until the ribs are done. 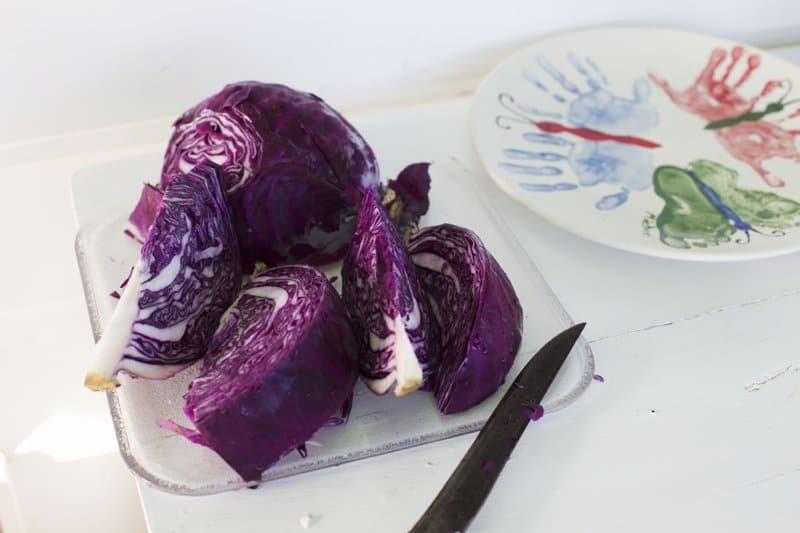 Meanwhile, slice a red cabbage into 8 wedges, leaving the core intact. Brush the wedges generously with olive oil and sprinkle with salt and pepper. Place the wedges on the other half of the grill, over the flames. 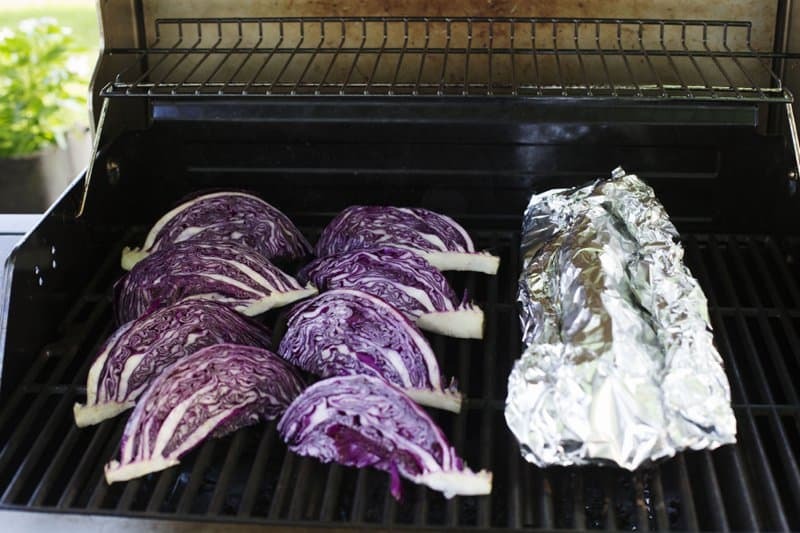 Grill for 5-7 minutes per side until the cabbage leaves char. Cook jasmine rice on the stove, following the package directions and set aside until you are ready to serve. 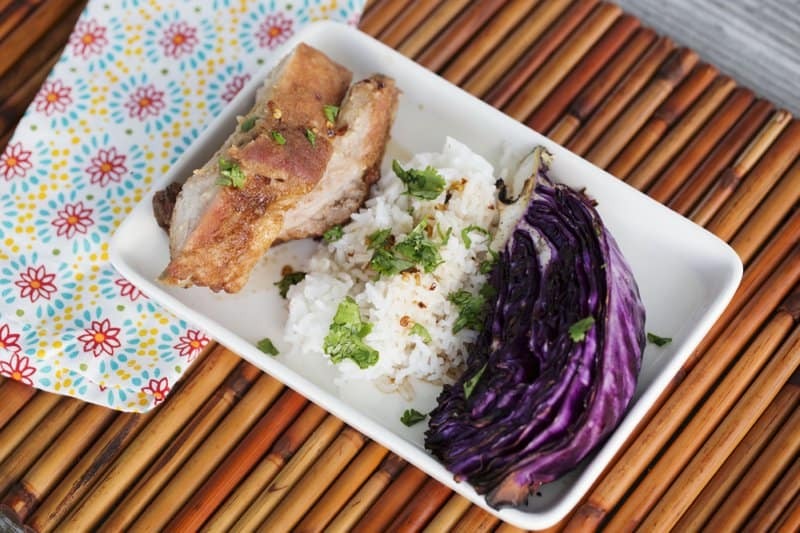 Serve the ribs with a wedge of cabbage and mound of jasmine rice. 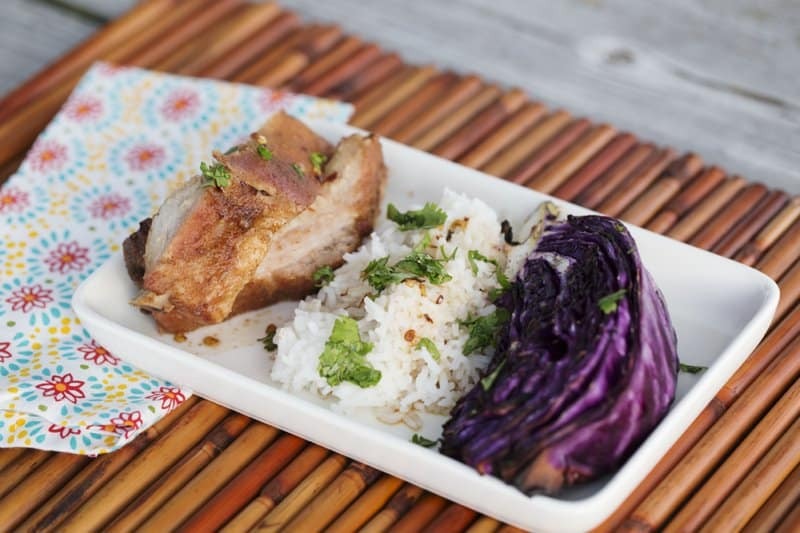 Pour remaining sauce and sprinkle freshly chopped cilantro leaves over the entire plate before serving. Head to Food Lion for your Pitmaster Preferred Smithfield Extra Tender Ribs. Look for the “Pitmaster Preferred” stamp on the package. Don’t forget to get your $1.00 off coupon for Smithfield Extra Tender Ribs. Looks so good...and I know taste great.